Groundwood is committed to publishing books for and about children whose experiences of the world are under represented elsewhere. We are very happy to share with you this sampling of some of our most beautiful and engrossing books — books from around the world and books that take the whole world as their subject. 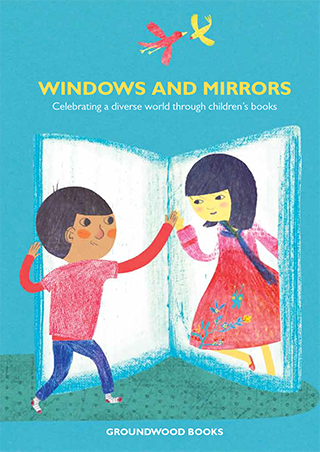 We have borrowed the title for our catalogue from the often-quoted statement that books give children a mirror in which to see themselves reflected, as well as a window through which they can see the wider world. We look for books that are unusual; we are not afraid of books that are difficult or potentially controversial. Here you can find out more about these books and the rest of our titles that reflect our diverse world — the awards they have won, the accolades they have received, and of course the generous and talented people who created them.